Public relations is a foundational pillar for building business relationships. In fact, academics have traced PR techniques back to ancient times. In the 20th century, brands relied on great public relations strategies to create awareness, and outshine competitors. These days, as we all know, the digital world is central to the way we do business, and live our lives. Gone are the days when legacy media ruled the roost—newspapers, radio, and television have all taken a hit. So what does that mean for communications and PR? Digital public relations is more than simply applying traditional public relations strategies to the digital world. Its toolkit contains additional tactics, such as direct lead generation, attracting referral traffic, and SEO. Traditional public relations primarily involved dealing with print media, television, and radio. Building a strong online presence to improve SEO and generate referral traffic. Establishing brand authority through reputation-building, awareness-raising, and establishing trust. Developing a measurable strategy, with defined goals, objectives, and KPIs. 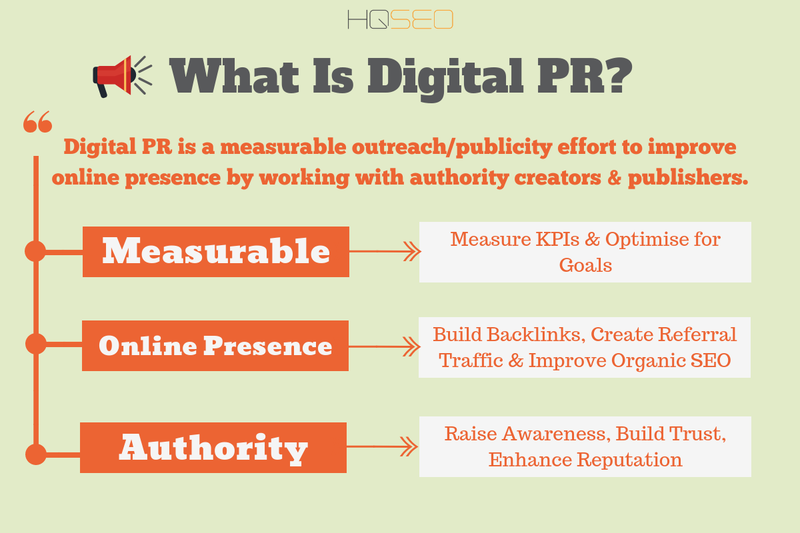 Digital PR has many benefits for your business. It’s a highly effective way to expand your customer base. It can build strong relationships with customers and/or a wider audience, increases brand awareness, and establishes a market niche. And it contributes to driving sales, which means more revenue, more profits, and a more successful business. In a digital public relations strategy, you need to clearly define your goals and objectives. This critical area needs to have a comprehensive, effective strategy to drive it, rather than merely rolling out tactics on an ad hoc basis. Your goals are the end point of your campaign, and the big picture of what you are trying to achieve through digital PR. This could include increasing brand awareness, or building trust with existing customers. Your objectives are the smaller, more actionable chunks which help you to achieve each goal. To establish digital PR goals and objectives, conduct a formal planning process, and build in measurable elements, such as KPIs. Link building is is another key element of digital PR. Building a high number of quality links that point back to your site is one of the most effective ways to improve SEO. Every day 3.5 billion searches are conducted on Google alone. 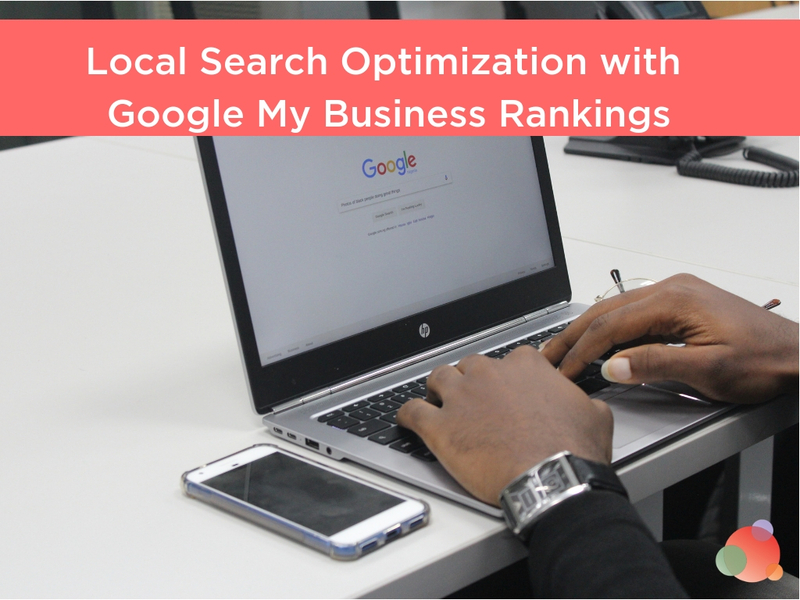 This means search engine traffic represents lots of potential for finding new customers. Additionally, with over 1.5 billion sites online, it is essential to be able to stand out from the crowd. An effective link-building strategy works because search engines like Google like sites which demonstrate authority. One of the critical indicators Google uses is the number of links from reputable sites back to your site. Link building involves outreach to reputable online publications, blogs, and other websites to place articles containing backlinks to your site. And quality is always more important than quantity. It’s better to have 10 high-quality links than 100 low-quality ones. This strategy also helps to bring more organic traffic to your site, and helps build your audience, sales leads, and revenue. Of course, as with any type of PR, outreach is central to digital public relations. Digital public relations involves researching, customizing, and then pitching content to online publications, digital media, and other websites. This sounds a lot like traditional PR—and it is. It also involves content marketing, which incorporates the owned media in the PESO model. For example, the number of B2B buyers who read blog content before making a final purchasing decision rose from 66 percent in 2017 to 71 percent in 2018. Additionally, 52 percent of buyers say that if brands package relevant content well, this can help them with product research. Compiling relevant lists of digital media contacts, and building strong relationships with them over time. Researching sites’ editorial calendars and tailoring your pitches accordingly. Issuing rich media press releases, that work on desktop and mobile screens. Conducting offline PR activities to support your digital PR, including speaking at industry events and pointing attendees back to your online presence. When you execute this process effectively, you can successfully generate high quality content you can publish on your own site. This, in turn, boosts your credibility, when you pitch stories to digital media outlets. Do you consider yourself a digital public relations professional? Do you have any tips or success stories to add? Share them in the comments below. Tom Buckland is an independent online marketing consultant for My Local Services and HQ SEO. Providing posts and information on how to fund, grow and market small and medium sized businesses.